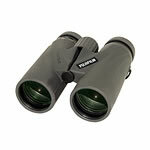 The most popular optical instruments used for this purpose are binoculars. 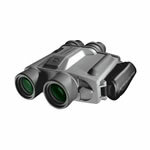 Magnifying 6 to 12 times, they are relatively unaffected by atmospheric conditions, and they are a very cost-effective way of providing nearly instant access to views of land and sea objects. 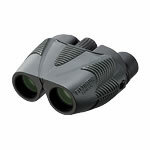 Some of the better binoculars provide images so clear they seem to "disappear" from the view. 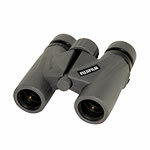 One of the best types of telescopes for this purpose is the small refractor. 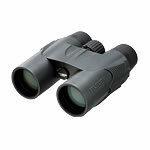 It can be in a Spotting scope format (marvelous for sharp, contrasty, views of land features, boats, and people watching) or an astronomical refractor telescope format (which can be used on the sky at night as well as daytime objects). One of the issues for any telescope, when used on land or sea, is that its image is not usually correctly oriented for daytime viewing. The image can be completely upside down and backwards, or just simply reversed left to right. Fortunately, spotting scopes have built-in image correctors, and astronomical refractors can have their images corrected by the simple addition of a correct-image diagonal. Astronomical telescopes composed of mirrors and lenses, usually referred to as compound telescopes, also can all have their images so corrected. Only the classic Newtonian reflectors cannot easily be corrected for use on land. 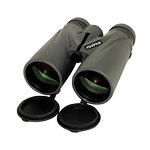 In general, telescopes make powerful tools for daytime viewing on land or sea. A telescope provides a magnified image of the object being viewed, and the magnification is caused by the interaction of eyepiece and focal length of the scope. Zoom eyepieces provide many different magnifications without changing eyepieces, or one can used fixed-power eyepieces to produce the image. Either way, daytime magnifications are usually confined to under 75 times (75X) because of turbulence in the air itself. When you magnify, you magnify everything - the image and the heat waves and distortion of the atmosphere. Because the sun is constantly heating up the air and the winds blow many different directions near the Earth's surface, any view through a telescope of a land or sea object will be a compromise between the atmosphere and the magnification used. The most pleasing views are usually found at 20X to 30X, with the higher powers reserved for those "just right" conditions. 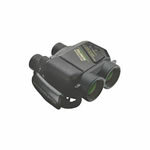 We can successfully hand-hold an image still up to about 10X or 12X (typically where binoculars leave off). If higher powers are to be used, it will be necessary to use a mount of some sort. Fortunately, some very stable, high-quality, mounts can be had for very affordable prices. 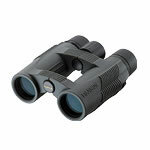 Whether using a high-power binocular, spotting scope, or astronomical telescope, the experts at Scope City will steer you to the right combination of products to make your viewing enjoyable.